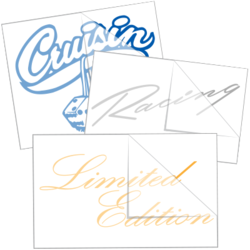 From aftermarket brand logos to car sayings & phrases, this collection has all car & motorsports enthusiasts covered. Shop our custom stickers & decals today. Are you a car enthusiast? 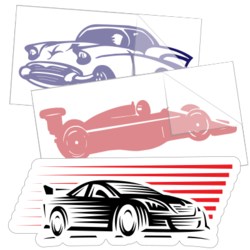 Whether you prefer 4 x 4 off-road vehicles or fast sports cars, you can show your love of cars with custom car sayings or racing log stickers and decals. 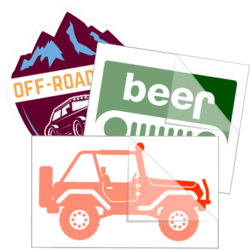 For our Jeep lovers we have several various Jeep stickers and decals that are sure to show your appreciation for Jeep vehicles. Enjoy driving fast? 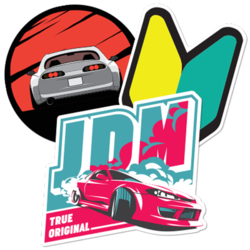 We also have a huge selection of decals and stickers that any performance racing lover will appreciate – from NOS to Neuspeed and Beltech stickers. For those of you who prefer to make a more literal statement, we have stickers and decals with car phrases and sayings. Add a little attitude to your vehicle with a phrase or saying that best suits your personality. Whether you’re a fan of lifted or performance trucks or prefer tricked out street cars, you can express yourself with an appropriate phrase or saying. Want to custom your sticker or decal, maybe add in a specific saying or phrase that we don’t already have available? 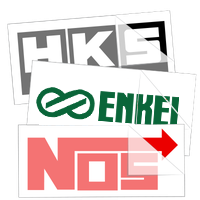 You can easily customize any sticker with our online tool. 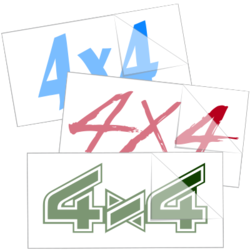 It will allow you to upload your own images or phrases and create the perfect logo sticker for your car. So excited about my Jeep wave sticker. It looks AMAZING on Skulltina ( My jeep) It got here so fast too !! I have bought before and there is a reason I keep going back to stickers.com, they always follow through and its always great quality! Awesome Quality and adhesion. I will be buying more from this company in the future. Highly recommend! Car stickers is one of the best companies I have ever dealt with. Thier customer service was quick and effective. I had a issue with my order being wet from the rain and they sent me a whole new entire order. Also gave me a coupon. Great company and the quality of thier stickers is great. Got here quick and fast. High quality stickers and looks great in all of my car pics. Also real easy to put on and gets on quick. Love this site! They deliver fast and the stickers are high quality.